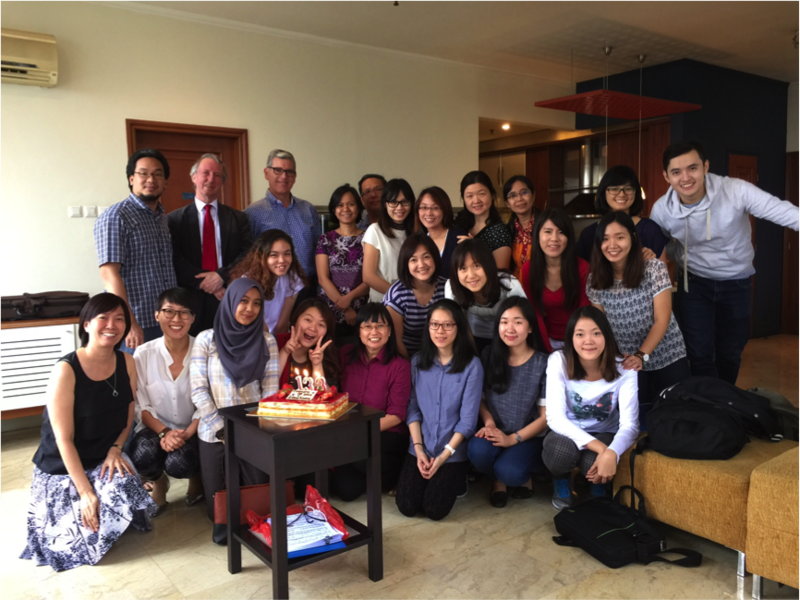 For ten full days, twenty-seven participants gathered in Jakarta, Indonesia, for musicianship, pedagogy, choir, conducting and piano lessons. 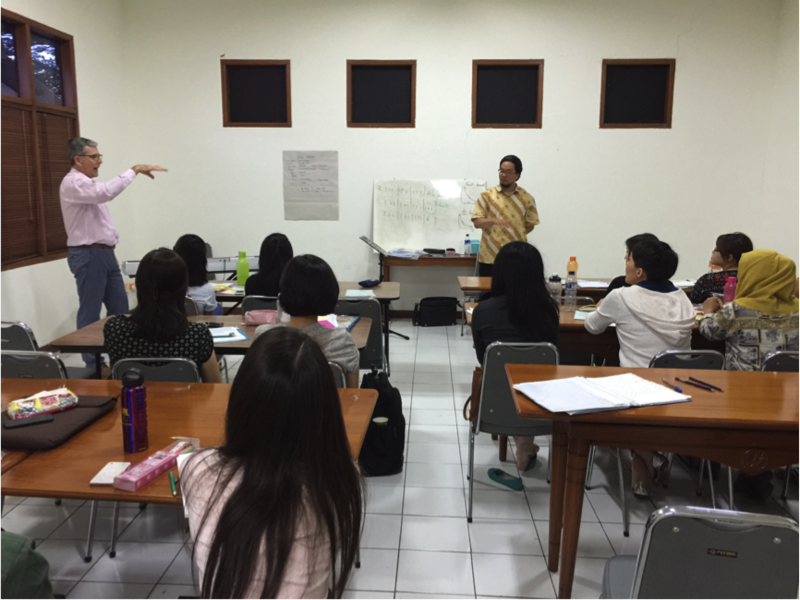 Most of the participants are instrumental studio teachers, school teachers and conductors who reside in Indonesia. There were also several participants from the neighbouring countries of Malaysia and Singapore. Under master teachers, Dr James Cuskelly (President of the International Kodály Society) and Professor Gilbert de Greeve (Past President of the International Kodály Society), the participants were introduced to Kodály’s vision, philosophy and approach to teaching music. Two streams of study were offered. The first was Classroom – Primary Level 1 conducted by Dr James Cuskelly. A continuous study (three levels) may lead to accreditation by the Kodály Music Education Institute of Australia (KMEIA). It may also lead to articulation for postgraduate study at several universities around the world. Kodály said, “Teach music and singing at school in such a way that it is not a torture but a joy for the pupil; instill a thirst for finer music in him, a thirst which will last for a lifetime.” In the Classroom stream, Dr Cuskelly taught many fun singing games suitable for children, while at the same time training the participants to think and teach in terms of behavioural objectives, focus points and strategies for the music classroom. Teaching is broken down into a science as well as an art, and it was clear that everyone enjoyed the learning. 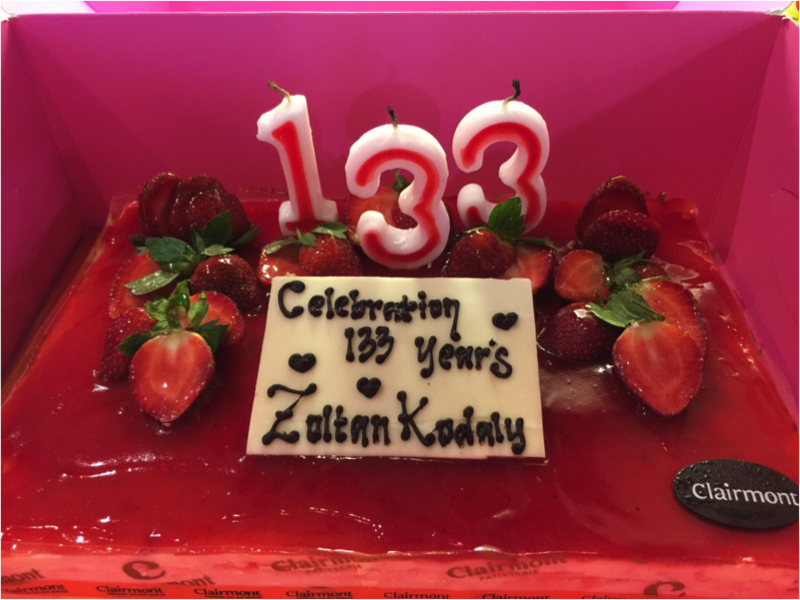 Since Kodály was born on 16 Dec 1882, we took the opportunity to celebrate his 133th year with cake and a performance by Prof. Gilbert. Kodály’s vision for every person to have a quality music education is something that strikes a chord in the true musician’s heart. 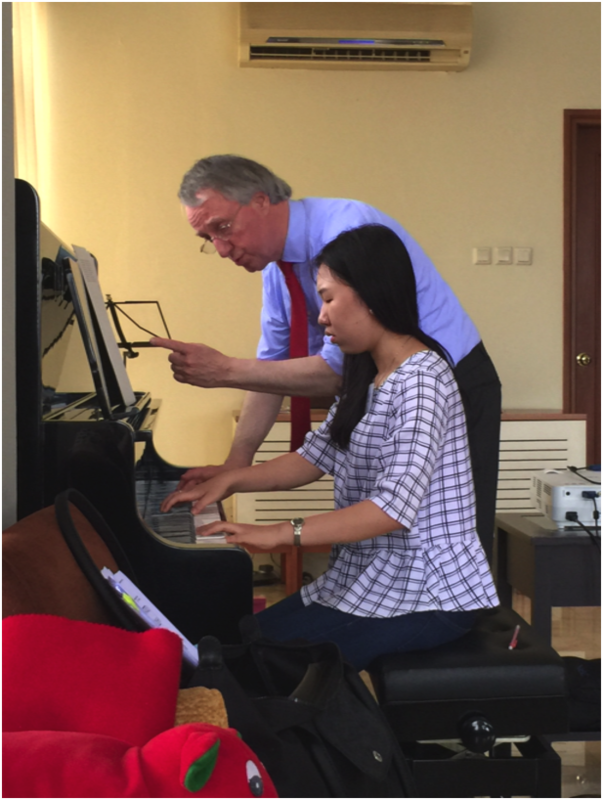 A special highlight of this workshop was a set of Indonesian folk songs which Prof. Gilbert arranged for the young pianist. It was inspiring to hear Indonesian favorites such as “Apuse”, “Naik, Naik ke Gunung Puncak” and “Yamko Rambe Yamko”, amongst others, arranged in Baroque, Classical, Impressionistic and Modern styles! With this collection, the young pianist can play Indonesian folk songs, and at the same time, learn about different Western music styles.